NEWPORT BEACH — After ending its Oct. 23 meeting with a rent increase for commercial marina owners in Newport Harbor, the Newport Beach City Council started off its Nov. 13 meeting reconsidering its decision, agreeing to lessen the increase by 2.5 percent while tacking on additional fee increases for many other harbor businesses. The council’s Oct. 23 decision — reached on a 4-3 vote — would have raised rates for commercial marina owners operating on public tidelands from 36 cents per square foot to $1.97 per square foot, phased in over an eight-year period starting in 2015. Following an Oct. 31 workshop and further discussion among marina owners and city officials, the council unveiled a new fee structure that would increase the square footage rate from the current 36 cents starting in 2014, but would top out at around $1.68 per square foot in 2018. The council voted 6-1 in favor of the amended commercial marina rent fees and the new fee structure for other harbor businesses, with Councilwoman Leslie Daigle casting the lone “no” vote against the increases. The rate increase is based on a percentage of gross revenue scale calculated from a Marina Index that includes nine commercial marinas in Newport Harbor. 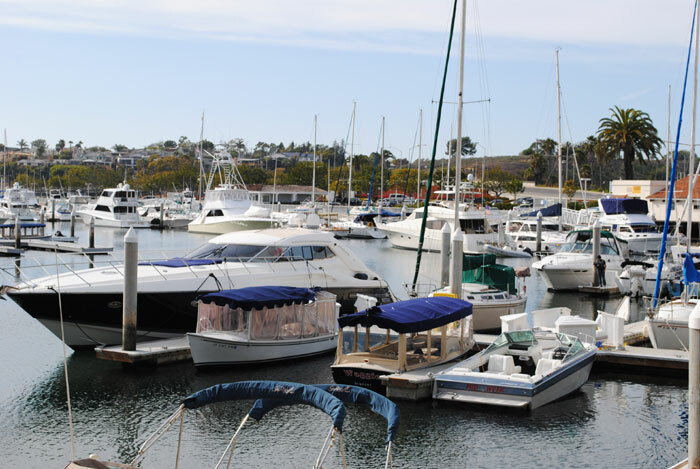 The marinas selected include both high-end and lower-priced docks and higher and lower slip rates, to calculate a comprehensive “average” revenue for a Newport Beach marina. Since its formation of a committee to examine harbor charges, the city has contended it is required by the state to assess “fair market” rent of businesses operating on public tidelands. The city ordered two appraisals to be conducted to find accurate market values in the harbor, and the Harbor Charges Committee — composed of city manager Dave Kiff and council members Mike Henn, Ed Selich and Steve Rosansky — decided that an accurate “fair market” rent for commercial marina owners would be 20 percent of a marina’s gross revenue. Translated to a square-foot fee increase, marina owners were looking at hike in their fees from 36 cents per square foot to $2.52 per square foot — an amount that many marina operators said would severely harm waterfront businesses. The lowering of the fee to 16 percent of a marina’s gross revenue is still seen by some as excessive, but Councilman Keith Curry — who changed his “no” vote Oct. 23 to a “yes” vote on the lower percentage increase — explained that the steep increase was a factor of longtime non-action on the city’s part. Local harbor fee increases started with the tripling of mooring fees for boaters in 2010, and fee increases focused on the city’s public marina operation at Balboa Yacht Basin soon after that. On Oct. 31, the city proposed its next wave of fee structure changes, singling out the remaining harbor businesses — including shipyards, fuel docks, yacht clubs, boat rental docks, restaurant guest docks, sportfishing charters docks, large charter boat docks and small commercial marinas. Those harbor users were also paying the current 36 cents per square foot fee, and will all be seeing new fee increases, as well. Large charter boat operators, restaurant guest slips, sportfishing charters and rental boat operators will be assessed a $1.02 per square foot fee, to be phased in along with the commercial marina fee hikes. Shipyards and yacht clubs with non-rented slip space will get a fee increase to 50 cents per square foot, changed from the originally proposed $1.02 per square foot charge. Examples were given showing what the new fee structure would mean for differing harbor businesses that utilize their docks on a mixed-use basis. Larson’s Shipyard on Mariner’s Mile — which uses its dock space for shipyard work and rents out a few slips — would see its rent increase from $2,880 a month to $7,314 under the new proposal; while ExplorOcean Newport Harbor Nautical Museum, with its day-use boat rental service, would see its rate jump from $7,690 a month to $23,180. That rate could be decreased if dock space was utilized for the nonprofit’s educational activities, such as docking a tall ship, creating white seabass habitat areas or holding educational courses. Newport Harbor Yacht Club’s rate would increase from $15,075 per month to $46,181. It would have been much higher if the city had not changed the original fee assessment for guest slips at yacht clubs from $1.02 per square foot to 50 cents per square foot. The city’s proposed fuel dock fee increase also drew comments during the Nov. 13 meeting, as fuel dock operators will see a fee change from 36 per square foot to a per-gallon assessment of 1.5 cents for every gallon of fuel sold up to 100,000 gallons, and then 2 cents per gallon above 100,000 gallons pumped. Seymour Beek, partner at the Island Marine Fuel dock on Balboa Island, said the increase for fuel docks was not proportional to the increases being assessed on other harbor uses. City Manager Dave Kiff said the city came up with the per gallon charge based on an appraisal by Netzer & Associates, and after looking at how fuel docks in nearby harbors are charged. Some fuel docks charge a percentage of each gallon pumped, such as Dana Point (6 percent) and Oceanside Harbor (3 percent), which — at current fuel prices — would amount to a fee of 12 to 24 cents per gallon. “When looking at other fuel docks, this proposal still leaves us near the lower end of the fee spectrum,” Kiff said. Overall, the increases in fees are part of the city’s attempt to meet a state-mandated obligation to charge “fair market” rates for businesses operating on or over public tidelands, according to the council. While Mayor Gardner contends that Newport’s harbor and beach revenue streams will never keep up with the city’s tidelands expenditures (the city covers the approximate $10.5 million shortfall with general fund dollars each year), the raise in fees is expected to help shrink the gap, and pay for harbor maintenance and capital improvement projects in the harbor. With waterfront businesses checked off its list, the city will next take aim at fee increases for residential private piers built over public tidelands. Currently, private dock owners pay around $100 a year for their pier permits to the city, but a fee structure based on square footage is in the works. The city’s two recent appraisals show that the recommended rates for residential users should fall between 50 and 55 cents per square foot, per year. The rates do not apply to piers on private waterways (such as much of Dover Shores and the interior of Linda Isle) or areas that have recorded licenses or easement for piers (such as Promontory Bay). A workshop meeting has been set up for the public to discuss the issue with city officials at 3:30 p.m. Nov. 19 at the Newport Beach City Council Chambers. Following the committee meeting, the full city council is expected to hear and possibly take action on implementing a new fee structure for residential piers at a special meeting set for 6 p.m. Nov. 28 in the city council chambers.